Are you desperate and depressed because you have tried so many types of doctors' medications, traditional remedies and off-the-counter solutions but your problem is still not solved? Are you suffering from a lower quality of life because of constant discomforts, pains and aches? Why not give try Shuang Hor's products a try - afterall, you have already tried 10 others? Well, take a look at these real-life stories..
A chap in his 40s suffers from sinus allergy, eczema and asthma. He takes 6 sachets Lactoberry daily for about 1 month. He reports that all the conditions improve by about 95%. A 30 year old lady from Penang suffered from a serious skin allergy caused by environmental factors in her workplace. She was aghast and embarrassed with her ugly skin. The doctors' medications and creams she used were to no avail. 6 capsules Jia Hor Lingzhi + 2 sachets Lactoberry + 2 sachets Jia Hor Soya Protein daily. She bathes using VCare Showergel, uses Aquasense Hydrating Toner for her face and uses GoEco Detergent to wash her clothes. Ms E’s mother-in-law used to suffer from red spots on her hands and legs. They are itchy - a form of allergy. She consumes 4 capsules Yung Kien Ganoderma + 8 capsules Yung Kien Pollen daily for health maintenance. After 1 ½ years, she found that her allergy has reduced significantly. Years ago, Mr Y underwent a heart bypass operation. The doctor prescribed him medication to prevent a second attack. It gave him a bad allergic reaction resulting in his whole body becoming very itchy. He could not stop scratching and the wounds left unsightly black scars. The "torture" continued for 6 years. When he came to know about Lingzhi, he consumed 4 to 5 capsules Yung Kien Ganoderma per day. There was improvement but it was still itchy. Then he learnt from a seminar that the effective dosage is taking 20 capsules within 1 hour. So he decided to try. 20 minutes after swallowing the 20 capsules, the itch amazingly was relieved. A few months later, all his scars had dropped off and his skin looked clearer. 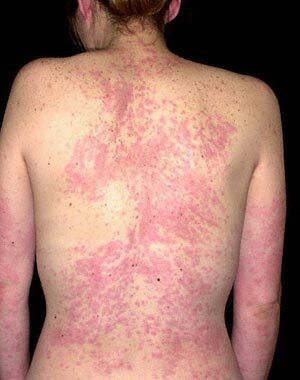 Ms A's husband, 80s, has been suffering from psoriasis for 30 years, mostly on his back, thigh, arms and neck. He hasn't been able to find a satisfying solution all these years. Last year, he skeptically started taking 5 capsules of Yung Kien Ganoderma daily, and then 10-20 capsules of Nutri-Health Tablets subsequently. He is a vegetarian and meditates daily. Because of his healthier lifestyle, he observes positive results quite quickly after only a few months. 1) 2 sachets Lactoberry probiotics daily as it also helps prevent allergies. 2) Greenzhi Toothgel which he rubs on his skin when there's a flare-up of itchiness. 3) Aquasense Hydrating Toner which he dabs against his skin as it has a soothing, cooling effect. After about a year, he's about 80% improved. His back is completely smooth and the skin on his arms are pretty much back to normal. The itchiness is still there but a lot more manageable now and with less scratching, his skin condition looks much better. She used to consume 5 capsules Yung Kien Ganoderma + 10 capsules Yung Kien Pollen daily. But during the attack in April 2011, she added 2 capsules of YK Ganoderma2 to her usual consumption, slowly increasing the dosage to 5 YK2, 10 YK2 and even up to 20 YK2 per day. She also added 4 sachets Vitaking + 6 sachets Jia Hor Soya Protein. Ms M's friend suffers from severe eczema attack. She has successfully used this formula to reduce the itchiness and have a better recovery. Her skin heals without much visible scarring. After cleaning her skin thoroughly and drying, she first apply a moisturising layer of Aquasense Hydrating Toner. Next, she mixed a paste comprising Yung Kien Ganoderma powder + Greenzhi Toothgel + VCare Body Lotion. She then applies the paste onto the affected area. Ms F suffers from sinus problem - since 14 years old, she would sneeze when she woke up every morning; in her twenties, her sneezing would continue until 10 am before it stopped; in her thirties, her sinus would attack her anytime of the day and she started wheezing. Once day when she stopped her medication - she was sent to hospital after 3 days when her lungs clogged up and it developed into asthma. She decided to give Shuang Hor products a try, taking 12 Yung Kien Ganoderma + 24 Yung Kien Pollen daily. Week 1 - she has a lot of mucus. Week 2 - very bad cough and discharged a lot of multi-color phlegm, some of which are blood-streaked. It's been 6 weeks now and she said the results are remarkable - she still suffers from the healing crisis but it is very minimal now. Mr L’s younger sister, early 20s, has weak body and is always sickly. She consumes 4 capsules Yung Kien Ganoderma + 2 sachets Yung Kien Pollen consistently every day for general maintenance. After 3 months, she told Mr L that her problems of painful menstrual cramps and irregular menses were addressed. 1) her skin is smoother and more radiant. 2) her hair is very shiny and black. 3) her nails don't break as much. 4) she still feels very alert though she has to wake up 2 to 3 times a night to breastfeed. 5) she has so much milk that she can breastfeed for over 1 year. A 33 year old lady has been married for 6 years. She had difficulty getting pregnant. She did conceive but suffered a miscarriage. She was introduced to take 4 capsules Jia Hor Lingzhi + 4 capsules Yung Kien Pollen daily. She conceived after 1 month. She has now given birth; the baby is delivered safely. A 52 year old lady is going through menopause. Her menses has stopped for 8 months. She suffers from insomnia. She's introduced to consume 2 capsules Yung Kien Ganoderma + 1 sachet Yung Kien Pollen. Just 4 days later, her menses returned. She sleeps better. Being able to delay menopause means we can maintain our youthful vitality and beauty for longer. Ms E, a 30+ year old lady, contracted dengue fever when she was pregnant. She dare not see the doctor as she feared the doctor would prescribe her with medications that harm her baby. Instead, she chose to take half a bottle of Lingzhi daily until her fever subsided. She has since safely given birth to a bouncy baby boy. On 14 Aug, a 5-month pregnant lady who works in Jakarta went back to her hometown in Palembang for Hari Raya. She was bleeding and upon seeing the doctor, the baby was confirmed dead. But the doctor couldn't remove the foetus as there were complications and her uterus was inflamed. He gave her medications to stabilise the blood complications. On 23 Aug, her friend who visited her was horrified to hear that the dead baby is still inside. The friend told the lady to seek another opinion and insist to have the foetus removed as it's already 10 days and it could harm her. The friend gave this lady a bottle of Lingzhi, and advised her to finish it over the night to strengthen her immune system for the operation. The next day, a "miracle" happened. After the lady finished the entire bottle, the foetus came out naturally and she felt well, so much so that she didn't need to see the doctor afterall. Lingzhi has an amazing ability eliminate toxins and remove whatever that shouldn't be in our body in a natural way. So she bought 6 Jia Hor Twinpacks. She consumed 8 capsules Jia Hor Lingzhi + 16 capsules Yung Kien Pollen each time, twice a day. She started to consume 2 sachets Yung Kien Pollen + 2 sachets Jia Hor Soya Protein + 1 sachet Lactoberry + drink Luchun Lingzhi Tea. Due to financial constraints, she started by consuming 10 Jia Hor Nutri-health Tablets and 6 sachets Lactoberry. When Ms G, mid 30s, was pregnant with her second child, she gained 15 kg in total. But by Month 3, she has shed all the excess weight and was back to her ideal body weight of 52 kg. She shared the supplemental products she took throughout her journey (in addition to Lingzhi, Pollen and Probiotics). The entire pregnancy was smooth. There was no morning sickness, no lower back pain and she had a lot of energy. Month 1: 4 Soya Protein + 2 Vitaking daily for wound healing and pain relief. Month 3: She has lost all the weight she put on, gotten back in shape and can wear all her pre-pregnancy clothes. She feels Vitaking has helped her burn excessive fat and rebuild lean muscles. Ms E's friend, a 31 year old lawyer, was pregnant on Oct 2013. As she wanted a normal childbirth, and because she was always stressed and tired and has hormonal imbalance problem, she consumed 3 sachets Jia Hor Soya Protein + 3 sachets Yung Kien Pollen + 1 sachet Vitaking collagen + 3-4 sachets Lactoberry probiotics + 2-8 Lingzhi daily. Facial complexion is very good, her skin is smooth and fair, she has a lot of energy and does not suffer from morning sickness. On the 6th month of her pregnancy, she finished her supply and did not drink Jia Hor Soya Protein for 1 week. She felt a difference as her digestive system was unwell. Since then, she made sure she did not run out of supply. Before the natural birth, she increased her dosage to 3 Vitaking + 20 Lingzhi a day. The birth went smoothly and she was discharged the next day. She continue to consume 3 Vitaking / day for 1 week and her wound was 70-80% healed. She then found she was not producing sufficient milk for her baby. She usually pumped out her milk every 3 hours. Immediately after, she would consume 3 sachets Jia Hor Soya Protein. She takes up to 12 sachets a day. She produces sufficient milk for her baby. She has good energy despite waking up many times at night to pump milk. Her complexion looks great. A 28 year old lady is diagnosed by the doctor to have a blood pressure reading of 150/96. That is very high for a young lady. Due to her budget constraint, she takes 1 sachet Lactoberry + 2 sachets Jia Hor Fiber + 2 sachets Jia Hor Soya Protein daily to address her condition. 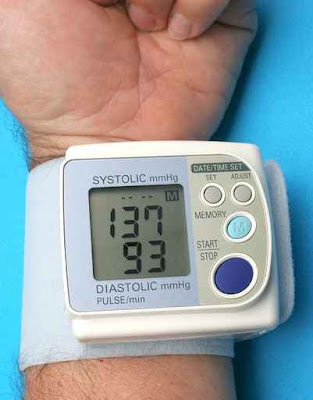 After 2 months, her blood pressure reading has gone down to 140/82. Natural, safe and effective "medication"! A char kway teow seller is losing hair around the top of her head because it's constantly exposed to the smoke and oil when she fries kway teow for her customers. After using Scalpcare Shampoo for over a period of time, fine hair started to grow and her hair loss has visibly reduced, so much so that her customers asked about her "secret". Ms M went for an island-hopping holiday. Her skin was exposed to about 8 hours of scorching sun and salty seawater. She applied Aquasense Sunblock SPF 35+++ to her face – total 2 times. She applied Brand X Sunblock SPF 110+++ to her body – total 4 times. Face – no sunburn or dryness at all. Body – sunburnt, itchy and dry. She used Aquasense Hydrating Toner on the affected area and found it to be really soothing and calming. Conclusion: Look at the Ingredients and Capability of a sunblock. It's more important than merely high SPF. Ms M has oily skin. Her facial lady used to apply cream with enzymes to encourage toxins which are blocked inside her pores to come out. She didn’t find it very effective. But after 2 times of using Aquasense Exfoliating Cream, she was amazed to find the whiteheads on her face popped up rather quickly, and were easily removed. Conclusion: Ms M found that Aquasense Exfoliating Cream is much cheaper and more time-saving than going for a facial session, while achieving the same results. Mr P's friend has been suffering from stomach pain since he was 12 years old. 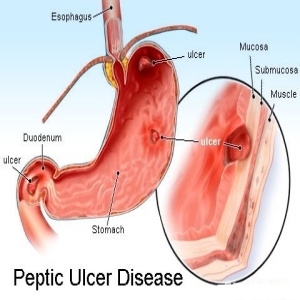 It's a 22-year long problem, which worsened to stomach ulcer, resulting in at least 7-8 visits to the doctor every year. He could not find any workable solution. The crunch came when he vomited and had diarrhea every day for about a month when he put food in his stomach. He lost about 10 kgs and almost lost hope in life. 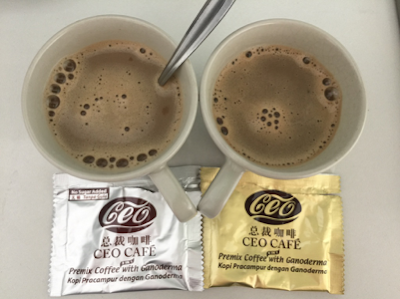 Out of desperation and despite initial resistance, he finally agreed to consume 30 capsules Yung Kien Ganoderma + 60 capsules Yung Kien Pollen + 3 sachets Jia Hor Fiber + 3 sachets Jia Hor Soya Protein daily, for 4 months. Vertigo reaction: he passed out many layers of oil. It was found that apart from finally handling his stomach ulcer problem, it has also successfully taken care of another problem he wasn't aware of - fatty liver disease. Ms E’s friend suffers from gastric ulcer. She consumes 4 capsules Yung Kien Ganoderma + 8 capsules Yung Kien Pollen + 1 sachet Jia Hor Soya Protein + 1 sachet Lactoberry daily. Vertigo/healing reaction: her gastric pain returned but it was mild and bearable. The pain was gone after 2 to 3 days.